In my last post (Caffeine and Performance – Part 1), I looked at the benefits that Caffeine provides in fat loss and burning calories as well as the best form of Caffeine for the greatest results (pill form is better than coffee). In Part 2 of this 2 part series, I am going to look at how Caffeine impacts Cognitive Performance (Brain Function) and Endurance & Strength. There are numerous studies which look at the combination of Caffeine & Creatine and Caffeine & Carbohydrates as it relates to Endurance and Strength, but I am focusing on Caffeine specifically so, for our purposes, these pieces of research are excluded from my analysis. Go to any gym on the Planet early in the morning what do you see? Alright wiseguy, fat people walking on treadmills was not the answer I was looking for! Coffee, and lots of it, as far as the eye can see. The majority of these folks are drinking it to make sure they don’t fall asleep and knock their front teeth out while walking on the treadmill. 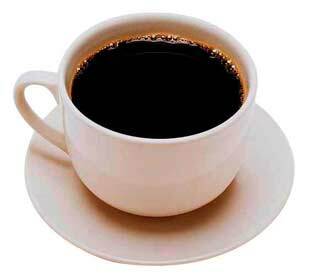 Little do they know that caffeine can aid them in performance and their goal of fat loss, though drip coffee is not the most efficient nor effective method. When consuming caffeine for performance, the best form is to consume is caffeine anhydrous (caffeine powder in a capsule). The reason for this is that it is a) cheaper and b) more effective than consuming coffee in liquid form (i.e. drip coffee). WARNING: This is NOT the best way to get your caffeine! Copyright © 2009 Unstoppable Strength. All Rights Reserved.